Pyramid link building strategy is one of the most used and effective ways of building backlinks to boost SERPs. In this amazing tutorial I’ll try to tell you every possible thing of the pyramid link building. So don’t get board cause you are going to learn an exclusive link building technique. So get, set, ready are you? Well,before I’m going to start the ultimate guide on pyramid link building, just have a look what are you going to learn today. 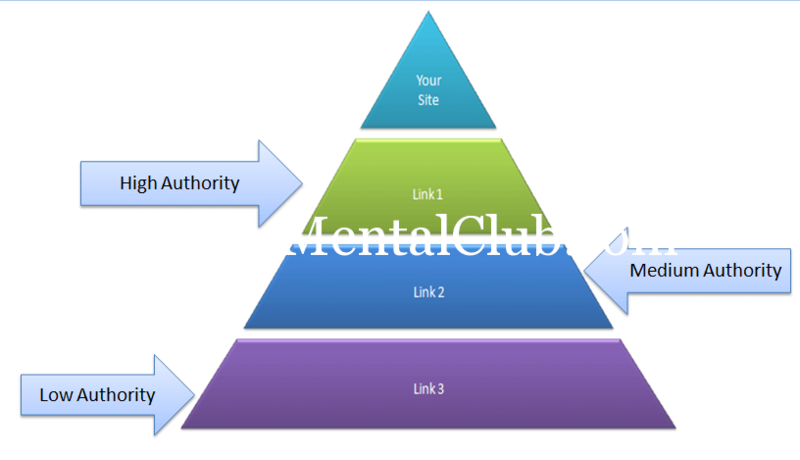 Pyramid link building is such way where your site will get links from the high authority site like the “link 1″ then “link 1″ will have backlinks from “link 2″(medium authority) and finally “link 2″ will have backlinks from “link 3″ (low authority). The most exciting thing about of pyramid link building strategy is, it is the safest way of creating backlinks. There are many link building strategies out there, but I’d say pyramid is the best way to create backlinks. In this link building strategy your main site will get backlinks from some highly authoritative site by which your site will get lots of link juice from those authoritative sites. All these high quality backlinks will have a double protection layer to get rid of Google’s penalty. Here our main goal will be building backlinks like the shape of a pyramid. Don’t worry, just follow the whole procedure and I can ensure you that it’s so easy, just go though the article. At first create some quality backlinks from some relevant authoritative site. You can create backlinks by guest posting, commenting blah blah. At the second stage we will create backlinks for those “link 1″ backlinks. We will do that to increase the strength of those backlinks. For example, for The Mental Club I’ll create 10 authority backlinks (link 1) and suppose all the links have PR1. Now if we create 20 backlinks for those “link 1″ then over time their PR will may be 3 or 4. So your main site’s PR will increase. And finally we will do the same thing for “link 2″ to make them even stronger and powerful. This step is very easy cause now you can do anything whatever you want. Just create backlinks whether it is high, medium or low authority doesn’t matter but don’t spam please. So start building backlinks and give some flare to your blog and wait and see the SERPs of your blog.